has started a new topic: Plant is on 18/6, not an auto, but is going into flower. Thoughts!? This section is for simple chat "Hey how is everyone" etc. Can we post questions & replies to the actual forums categories please, thanks. @Waye O what is your question about UVA/UVB? @MJMgo if you are using RO water then you should be fine. Add Kleanse and go. Kleanse has Citric Acid in it which will drop the pH a little more but not by much. Some growers will still pH down to a 5.5-6.0 range out of habit but not necessary, plus it will save you some money! @Big_Lp Kleanse usage rate is 1 mL per Liter of H2O. Do not mix Kleanse with nurtrients, use it on its own..
@scroby definitely water your plants with Kleanse. It will remove excess salt build up in the root zone resulting in more efficient feeding. It is a good cleaner for pumps and drip lines as well is all. As far as setting your timer to feed there are a lot of variables at play. Best suggestion is a trial and error based solution. Basically, you want your growing media to dry out in between waterings in order to avoid root rot and potential pythium outbreak. General rule of thumb is to start conservative and add on waterings and feedings as your plants ’tell’ you when they are hungry/thirsty. A lot depends on the age of the plant as well as the strain and phenotype. Different strains at different parts of the life cycle are going to feed differently. Searching online for general feed instructions for your system would be a good place to start. Am I meant to PH the water after applying Kleanse for a flush? I’m using RO water. @Kexsta Also being that a timer controls when nutrient solution is dripped into the pots, would i be setting these on the timer? If so any suggested timing schedules? @scroby Go ahead and follow the Hydroponic Feeding Schedule and you will crush it. Just be sure to change the reservoir at least once a week and I would suggest soaking your drip lines in CYCO Kleanse in between grows to ensure there are no blockages. Take it easy! @criollebean88 What are you curious about? 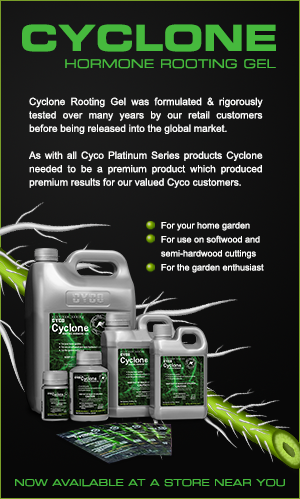 Hey eveyone, interested in getting a WILMA XL 4-POT SYSTEM going soon, can anyone help me out on a feed scheduled for using both the whole of cyco nutrients line and cyco coco lite? I have found the grow feed charts just not sure how it would work with the drip style system! if anyone could help would be greatly appreciated, cheers! has started a new topic: Cyco in soil? @ Kexsta Thank you for the information. I will adjust the pH to 6.6 and see how that goes. I am feeding about every 3 days - and a flush about every 2-3 feeds. If my PPM is 1150 what should my run off be? I am having a few issues with my current set and was hoping you guys can assist me. Hello to everyone! I am having a few issues with my current grow and was hoping you guys can assist me or shed some light on some of the issues. My current set up is 1,000 HPS WAT lighting, 3 gallon pots, using Roots Organic 707 soil. I am using Cyco Advanced nutes. My pots are drying about every 3 days, however, it seems like the plants are weak. The leaves are also a bit yellow. These plants were in our commercial greenhouse under an Organic Growing setting. I pulled them after two weeks of veg and placed them in my indoor setup. Before introducing the Cyco nutes I flushed them a couple times. However, I can't find myself getting a grip. Having a hard time getting the plants in a strong healthy conditions. We are currently feeding at 6.8 pH (after mixing all the nutes with RO water). The runoff pH is 6.0. 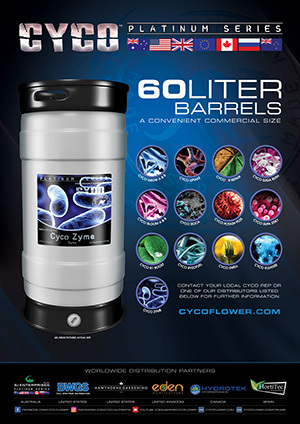 The Cyco advanced nutes suggests that you feed at 5.5-5.8 pH. However, we are using Soil as our medium which usually requires a pH of 6.5-7 pH. Should I be dropping my pH? What should my run off be? has started a new topic: Proper flushing for Oxygen Pot Bucket system? has started a new topic: Self Introduction! growing in soil. Sorry type a quest in wrong area.